Chief Justice Leigh Saufely spoke of the need for public electronic access to court records during her 2014 address to the Legislature. The Maine court system hopes to spend $15 million to digitize its records, but a judicial task force on transparency wants to block the public from accessing most of the online records. This is absurd. The documents are public records, and the judicial system will spend public money to turn paper records into digital documents. A task force, made up mostly of legal advocates with just one media representative and one public member, recommends keeping most state court documents shielded from public view. They would create a two-tier system: One for lawyers, their clients and so-called “judicial partners” who could access any case files and one for the public who could not view case files online. This is unacceptable and runs counter to the task force’s charge. 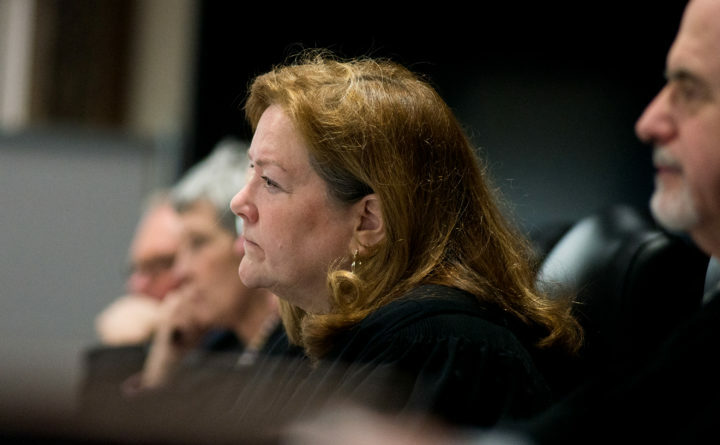 The Judicial Branch Transparency and Privacy Task Force was created by Maine Supreme Judicial Court Chief Justice Leigh Saufley after she lobbied lawmakers to approve the $15 million to digitize court records to ensure public access to its government. The state budget approved earlier this year authorizes the judiciary to issue up to $15 million in bonds to digitize court records. “I know that I don’t have to tell you, the Maine Legislature, that the public deserves electronic access to its government,” Saufley told a joint assembly of the House and Senate in February 2014. “I can go online from anywhere and find the pending bills, the sponsors and committee assignments, the status of those bills, both in the committee and on the floor, the language of proposed amendments, committee hearing dates, and all written testimony. We understand the concerns about not making personal, private information available online, but the task force strayed very far from Saufley’s vision of protecting truly private information in its recommendation that only court-generated documents, such as docket sheets and hearing schedules, be publicly available online. With some limited exceptions, court files are currently available to members of the public — if they go to the courthouse and request to review them. The task force is right that there is a difference between going to a courthouse to request to look at a paper case file and being able to scroll through case files via a computer anywhere in the world. But federal courts and courts in other states have found ways to balance privacy concerns with putting a fuller array of court documents online. The task force should look for ways to shield truly private information that don’t involve shutting the public out of the digitized record system it will pay for under the premise of making public records more accessible to the public.